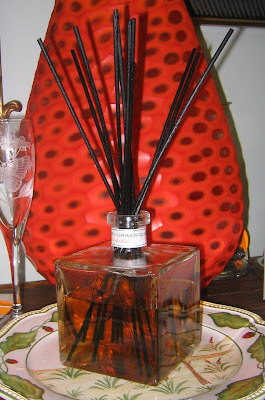 In May 2009 we opened up this Indochine Room Diffuser for our first photo shoot. We've moved it around quite a bit - from the front office to the back office - and it has always maintained a light fragrance - never too strong, but always present. As I mentioned earlier, we opened it up well over a year ago... and look how much is missing ... practically none! For you math types...I'd say so far we have used about a 1/4 - that's about $24 worth over the past 15 months - $1.60 each month - or hey... about 5 cents a day! Now isn't your home worth it?